Phoebe Wallingford, Martha’s mother, survived her husband James Murphy and married David Blue. Martha was raised as Martha Blue, but not being of that blood line, she is in the record of the blood line of Wallingford. This entry was posted in Parke County and tagged Bennett, Murphy, Wallingford on September 20, 2014 by oahblog. • Sarah married John Adams, Jr.
George was a private in Captain Hughes Company of Colonel White’s 1st Regiment of Continental Dragoons, enlisting in the fall of 1781 at Williamsburg, Virginia. He came to White River Township, Gibson County, Indiana, from Muhlenberg County, Kentucky, about 1807. He moved to Illinois about 1837. Frances Garrard was the niece of the governor of Kentucky. Mary Rose married the second time in 1843 in Illinois, Pelic Hull, who died in 1850. In 1853, Mary was granted a pension of $100 per month from George’s Revolutionary War service. She later lived in St. Louis, Missouri, and Farmersville, Tulare County, California. This entry was posted in Gibson County and tagged Adams, Brittingham, Dunning, Garrard, Garwood, Gordon, Groves, Humphreys, Lynn, Murphy, Rose, Severns, Taylor, Tomes, Warmoth, Woods on September 18, 2014 by oahblog. Charles left Indiana in 1914, moving to Devils Lake, North Dakota with the W. R. Murray family. He left to join his brother, William Edward Bryant, but later moved to Superior, Wisconsin where he remained until his death. For a time, he worked for the Great Northern Railway and The Express Company. He also served as deputy county auditor under J. A. Kramer. He was a clerk of the draft board and enlisted from Devils Lake in 1917. During World War I he served overseas. When he returned to Devils Lake, he resumed his position as deputy county auditor. Charles was a charter member of the Tim Running Post of the American Legion and served as its first commander. He was also a member of the Masonic bodies and Kern Temple. After leaving Devils Lake, he resided in Superior, Wisconsin, and was employed in the store department of the Great Northern Railway at Superior. He was married, raised a family, and lived in Superior until his death in 1959. This entry was posted in Parke County and tagged Bryant, Campbell, Goodreau, Grindle, Murphy on July 7, 2014 by oahblog. William and Elizabeth had twin girls, born about 1889, who died soon after birth. William Cooper, a farmer, took his family by covered wagon from Indiana to Kansas, arriving in Neosho Falls on Christmas Day 1883. The wagon was drawn by two pair of oxen, of which Buck and Bright were his favorite pair. Horses were not used to pull such wagons because they required too much food, and mules were often too difficult to handle. This entry was posted in Howard County and tagged Harness, Murphy, Townsend on April 9, 2014 by oahblog. William emigrated in 1866 from Indiana to Central City, Putnam County, Missouri. This entry was posted in Dearborn County, Spencer County and tagged Alexander, Brown, Demry, Dewolf, Dolph, Duncan, Gray, Masterson, Metz, Morgan, Murphy, Sandusky on March 28, 2014 by oahblog. Saphronia (Carpenter) Allison was Mary Delanzo Carpenter’s sister. Thomas Murphy served in Company G, 145th Indiana Regiment, during the Civil War. He and his second wife Mary Delanzo (Carpenter) Murphy emigrated from Jennings County, Indiana, to Grant Township, Riley County, Kansas, in 1865. Mary and Saphronia were sisters. 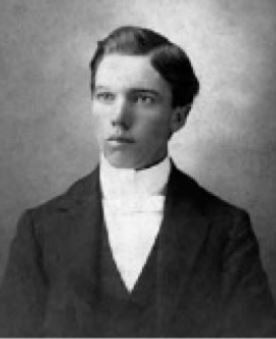 Thomas Jefferson Murphy claimed 21 children. This entry was posted in Jennings County and tagged Allison, Applebee, Baker, Brundige, Carpenter, Deckert, Dobson, Graston, Johnson, Lett, Lewis, Maloney, Murphy, Thomson, Trotter on March 28, 2014 by oahblog.